The HD PVR 2 Gaming Edition is a 1080p high definition video recorder from Hauppauge! This device has the capability to record video from your cable set top, satellite, PC or Nintendo Wii, PS3 & XBOX 360 consoles through HDMI or Component Video. Out of the box this product comes with the personal video recorder, a 9 ft. USB 2.0 cable, bundled software, a 6 ft. HDMI cable and a 6 ft. IR blaster cable used to control the channel changing on your set top box. With all included in this package you're ready to go straight out the box. The bundled software includes 3 software packages. ArcSoft Showbiz which allows you to capture HD content, edit and upload your videos to YouTube or burn a Blu-ray compatible disc using H.264 AVCHD encoding. 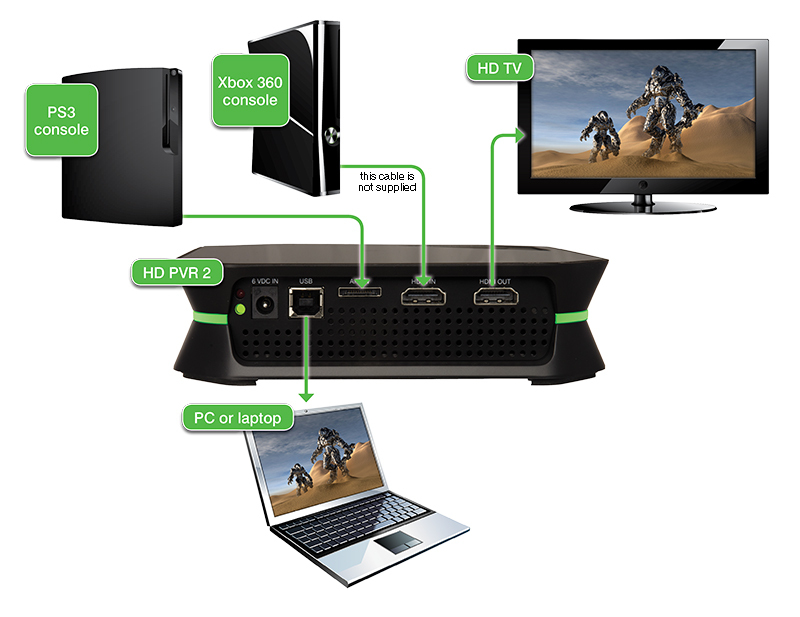 WinTV v7 with its built in TV Scheduler technology & IR blaster so you can record TV from a cable or satellite box. Hauppauge!’s own StreamEez software which allows you to stream your game play via Twitch or Ustream in real time with no lag. This recorder includes “no delay passthrough” so you can play seamlessly while you record in HD. In addition to this technology there is a mounted Record button on the top of the HD PVR 2 so you don’t have to be at your PC to start or stop your gameplay recording. If you're looking for a HD personal recorder make sure you consider the HD PVR 2 by Hauppauge! Ease of use, features and high quality recording are 3 main factors you can’t overlook when looking at this device. I really enjoyed streaming my gameplay to all my followers via Twitch.tv with no lag in gameplay. Gotta love the “no delay passthrough” technology! The only issue I have with this product is that it does not support Macs at this time. Hopefully Hauppauge will be able to support those users in the near future. 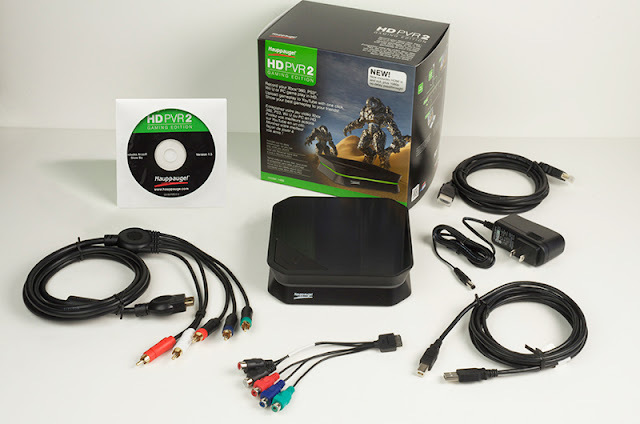 I highly recommend the HD PVR 2 to the die hard gamer and personal video recorder enthusiast.